We are delighted to introduce a new journal to the field, the Journal of Cultural Cognitive Science. The advent of this journal reflects the fact that cognitive science cannot ignore culture as a crucial factor impacting mental processes and brain functioning. Today, we have an increasing amount of empirical and theoretical work that emphasizes cultural, social, and bodily influences on mind and brain. A focus on the individual and her experiences has become increasingly important. This approach emerged in all fields that have been associated with cognitive science, from neuroscience to philosophy of mind. This journal aims to be a platform to discuss the latest developments and to present the best empirical work shedding light on such issues. We are thrilled to have a team of excellent associate editors, and we thank Giovanni Bennardo, Zohar Eviatar, and Jyotsna Vaid for their service to the journal and the field. We are also grateful to have a team of distinguished anthropologists, linguists, psychologists, and neuroscientists from across the globe to serve on our editorial board. We invite both rigorous research articles, and thought-provoking theoretical articles. Any paper that advances our knowledge of cultural influences on cognition and the brain is most welcome here. We particularly encourage submissions of research with non-WEIRD (Western, educated, industrial, rich, democratic) participant populations. It is no secret that the vast majority of research in psychology and cognitive neuroscience has been carried out with Western students. It is vital to look at different cultures and diverse participant populations so that we can understand what kind of findings from this mostly Western research body generalize to the world population. After all, we want to understand the human mind and not just the minds of Western undergraduates. We also especially encourage submissions of work from researchers from all parts the world. There is currently an exciting expansion of cognitive science and neuroscience research worldwide, and the many new labs in China, India, Latin America, and the Middle East are pertinent examples of this. Our journal also attempts to support this development. 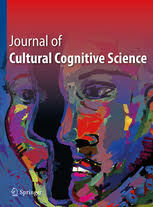 It is within this changing and diverse landscape that we want the Journal of Cultural Cognitive Science to thrive. We look forward to your readership and submission of your best work.